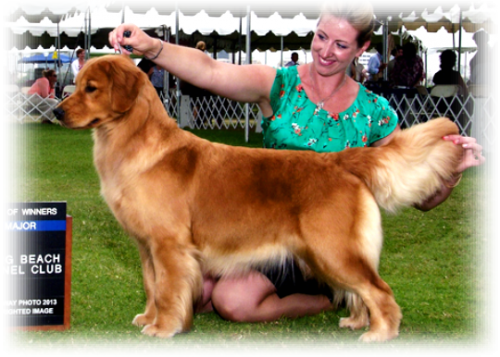 Achievements: Kit was the first GoldRox homebred Champion. She won two 4 point majors and RWB at the Western Regional in 2013. Kit also enjoys competing in Dock Diving and Agility.